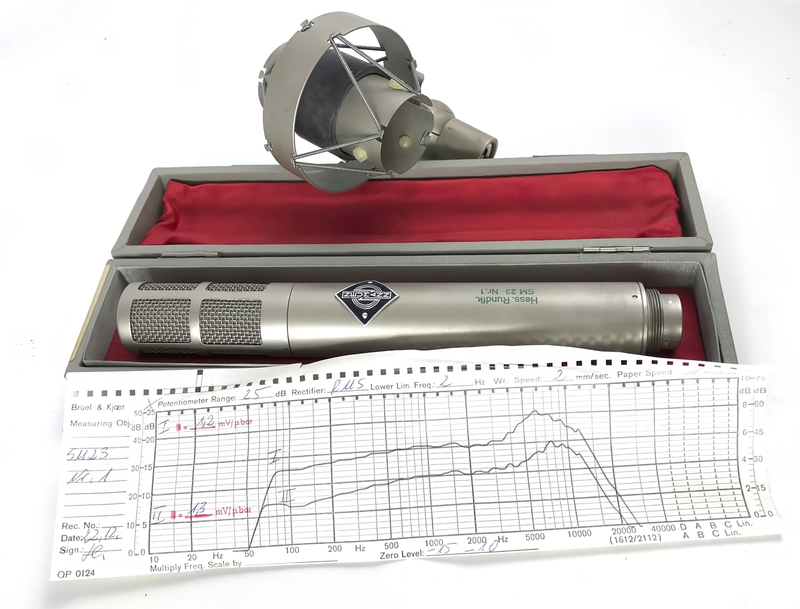 In 1957 (Telefunken) introduced the SM 2 microphone, which was essentially a pair of KM 56 microphones in a single body, arranged so that their directional patterns could be controlled remotely. 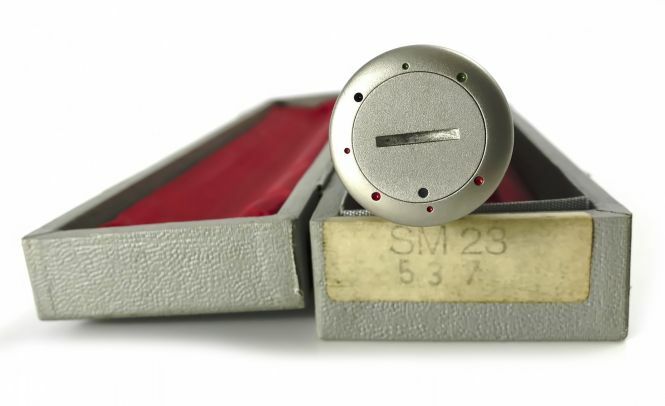 The SM 2 was the world's first stereo microphone. The SM2(C) and the SM23(C) do not differ in appearance and in performance. Except from the power supplies you need for them the two microphones SM 2c and SM 23C are identical. The Stereo Condenser Microphones SM 2 and SM 23c are top flight studio microphones. They feature the outstanding qualities inherent in condenser microphones and their great versatility enables them to be used for solving the most complex recording problems. Both microphones can be applied to a Wide range of recording techniques. Since they contain, effectively, two single microphones in one unit, they may be used for various special applications.They were developed to stereophonic recordings, in particular for the "intensity system" but they can also be used advantageously, when two microphones of different directional characteristics are required in the same position. The stereo microphones SM 2c and SM 23C comprise a microphone capsule assembly containing two capsules mounted closely one above the other and an amplifier section containing two microphone preamplifiers. 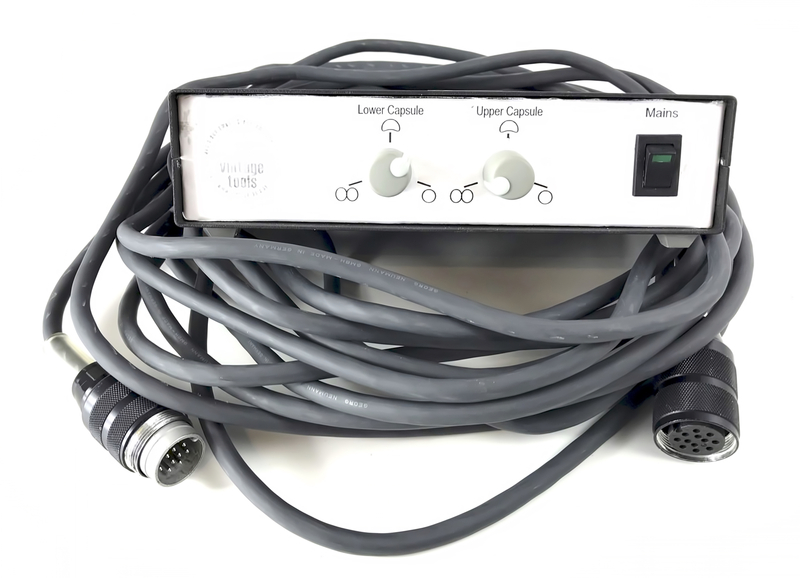 One power supply unit is needed with the SM 2c, while the SM 23c is connected in such a way that it is supplied from two separate power supply units.This enables the SM 230 to be used as a "double" microphone with extremely high reliability. A further advantage of the SM 230 is that it can be supplied from the fixed power supply units type N 52t. 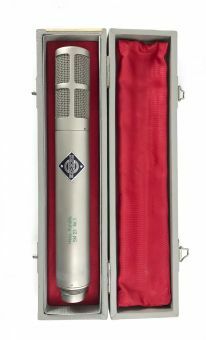 In appearance and in performance the two microphones SM 2c and SM 230 are identical. Each capsule consists of two fixed electrodes firmly screwed together and suitably drilled and two friction damped diaphragms. Each capsule, therefore, contains a system of two units, each with cardioid response. "Omni-directional”, "Cardioid" and "Figure-of-eight" response curves can be obtained by switching the connections and by altering the polarity of the DC-bias voltage. The response curve of each individual system can be set from the power supply unit without affecting the other one. The upper microphone system should be offset at an angle of 270° to the lower one. The direction of operation is radial to the microphone. Each microphone capsule has its own amplifier. The two amplifiers are mounted side by‘ side in the housing.They are effectively screened from one another. The output transformers are astatically wound and therefore insensitive to hum fields. The output impedance of the amplifier is normally 200 ohms but it can also be connected for 50 ohms. In this case the output voltage of the microphone is reduced by 6 dB. 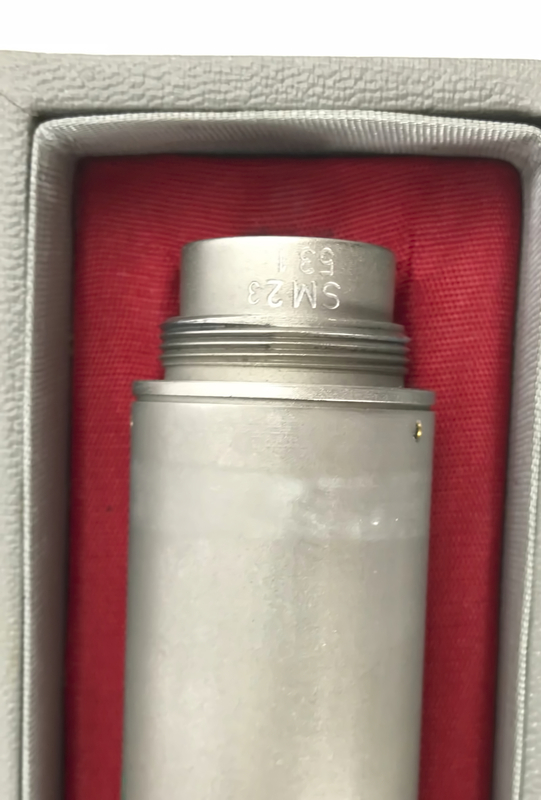 Microphones connected for 50 ohms are marked with a red dot beside the number plate. A calibrating Voltage can be applied to the input of either of the amplifiersi11the SM 2c and SM 23c via the special test head Z 57. For MS—recordings a matrixing converter (SU 2t) has to be used. Special connection diagrams are supplied with it and should be observed carefully.